Customer Reviews | Our Customers are Our Best Advertisement. 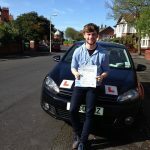 "The teaching methods were helpful and effective!The most important thing for me when choosing a driving school was the experience of friends. I found learning to drive much calmer and less stressful than I expected. 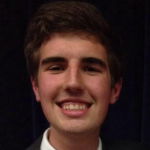 The teaching methods were helpful and effective and I’d recommend The L Factory because you can learn quickly." I learned to drive with Karen in a friendly environment in which I felt safe. She was much better than my previous instructor and I found her teaching methods to be excellent. I got help with my Theory Test as well as my Practical Test. " Important things for me when choosing my Driving School were the cost of lessons and great Customer Reviews. Karen is easy going and patient and eager for me to pass quickly but drive at a high standard. I found some things about driving harder than I thought but got lots of help to pass my test and get on the road sooner than I expected. 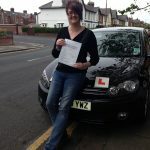 Her teaching methods were brilliant and I would definitely recommend her because she will get you to pass quickly and also help with The Theory Test. I wouldn’t change anything about the customer service. I even got reminders the day before my lessons. Thank you." It was important for me that I had a woman as my Driving Instructor. She was always on time and organised. Learning to drive for me was better than I expectedand the teaching methods were fantastic for me and very clear. I’d definitely recommend Karen as she makes you feel at ease. " "Karen is passionate about her work and her students. Karen is a brilliant driving instructor, after having bad luck with my first driving teacher. She is always reliable and fits to your own schedule as best she can. The facilities she provides are fantastic, with full access to Theory Test Pro, a website with full theory test practice and hazard perception and very high pass rates. Her vast knowledge of driving in general is great and it is easily noticeable that she is a very experienced driving instructor and is passionate about her work and her students." "It was a lot easier to pick up the basics than I expected. I chose The L Factory because a friend recommended them to me and I thought it was a lot easier to pick up the basics than I expected. The teaching methods were very clear and concise thus making the learning experience a really great and positive one. I’d definitely recommend Karen to my friends as she is a brilliant instructor; she teaches in a lovely calm manner and gives you a kick up the bottom when necessary. I couldn’t change anything about their customer service as it’s already perfect. Thank you Karen for giving me my freedom!" "I found learning to drive a lot less scary than expected! I chose The L Factory after being recommended by a relative and reading the customer reviews. I found it a lot less scary than I expected. The techniques were very good and helped me to remember things and pass quickly. I would recommend to my friends as the price was good and the Golf was a great car to learn in." "Karen taught me how to drive for life! Karen from The L Factory taught me how to drive for life and not just to pass the test. I would definitely recommend her because of the teaching methods and the structure of the lessons made learning easier." "The MOST important thing for me was The L Factory’s SUCCESS RATE! I found Karen to be friendly, calm and enthusiastic. 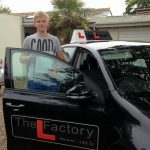 She was always calm and reassuring and helped me to be more aware of other traffic and hazards on the road.I would definitely recommend The L Factory because of their success rate and their all round good approach to building confidence." "I could learn to drive at my own pace. 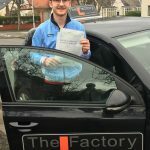 After taking lessons before I was 17 with Younger Drivers UK I started having lessons with The L Factory and Karen allowed me to go at my own pace. I found the Text Message reminders the day before a lesson useful as well. 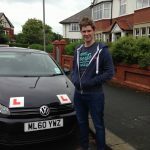 Theory Test Pro to prepare for the Theory Test is a great way to learn the theory and the app for mobiles is good to use at any time." "I love driving around now and feel completely confident. I was recommended by a friend and found learning to drive easier than I expected. The teaching methods were perfect and Karen was patient and comforting. I never felt uneasy or nervous. I love driving around now and feel completely confident thanks to Karen." "Learning to drive was a very positive experience for me. My brother strongly recommended The L Factory. Karen was very patient and would always continue practice from the last lesson and I really liked how I was taught. I would definitely recommend Karen as she was always fantastic and the VW Golf was a really good car to learn in. Learning to drive was a very positive experience for me." "I found learning to drive was more in depth than expected. I was recommended to The L Factory by a family member and found their teaching methods very good. Karen made sure I understood things by explaining clearly and then practiced with lots of repetition. She was always calm and consistent and made me feel comfortable. I’d definitely recommend them to my friends. "